I usually gather everything I need onto the table before eating breakfast – there are a lot of things! Breakfast bowl of a strawberry Fage yogurt with chopped pear and homemade granola. 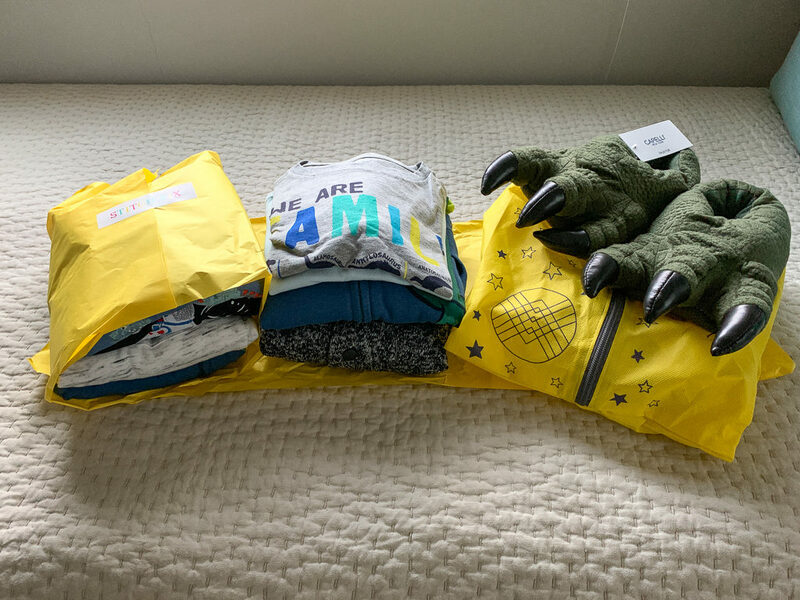 Stitch Fix has branched out a bunch since it began, including maternity, men’s and kids! I am excited to start my fixes back up this year now that I’m very close to my usual size. 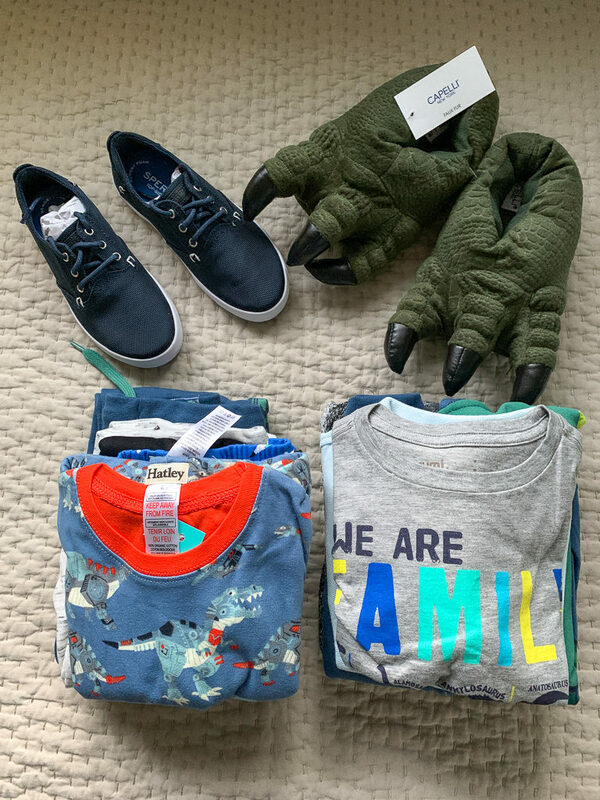 In the meantime, Stitch Fix sent us a box for Mazen! I filled out his profile with an emphasis on comfortable play clothes, animals, shoes, and “cool” outfits. I was more than impressed with what they sent! They aren’t paying me to write this post and I was under no obligation to write about it – I just thought everything was super cute and wanted to share! 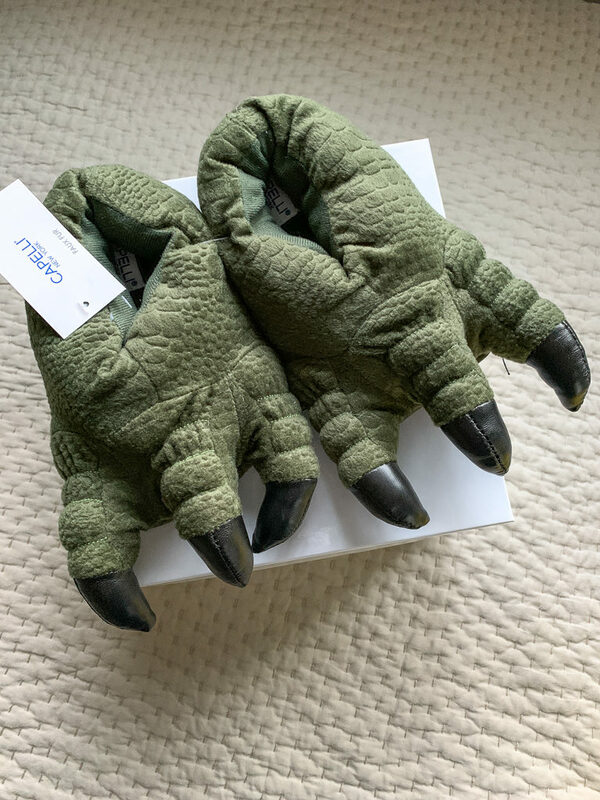 The dino slippers were a huge hit. 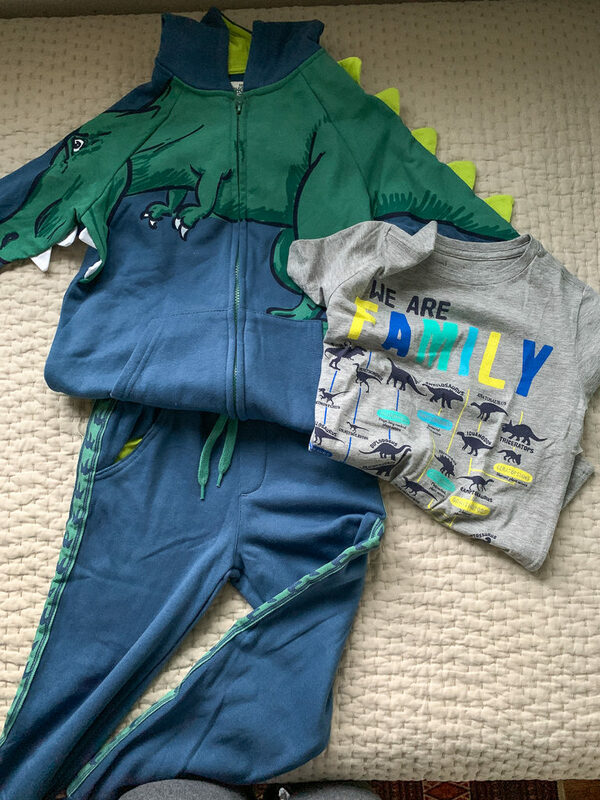 Especially with the complete dinosaur-themed jump suit! Mazen loved it. 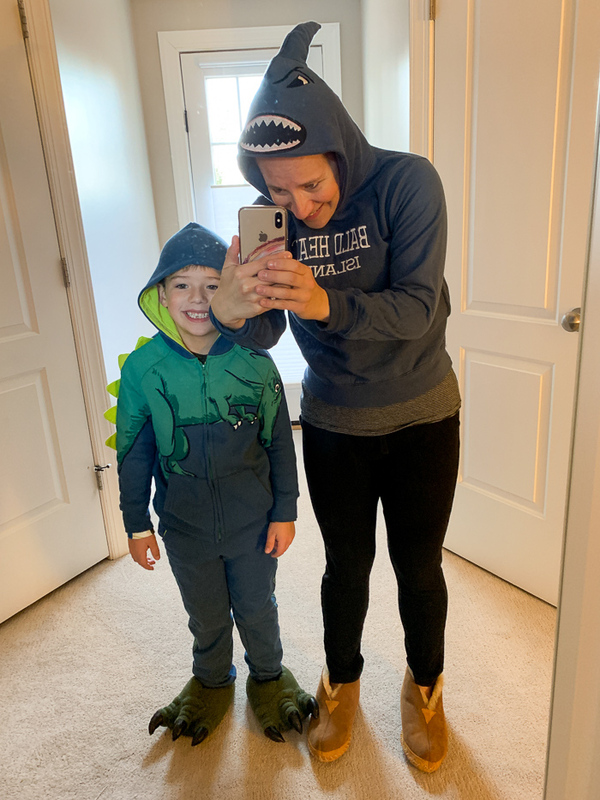 He made me put on his shark sweatshirt and we had an animal battle. 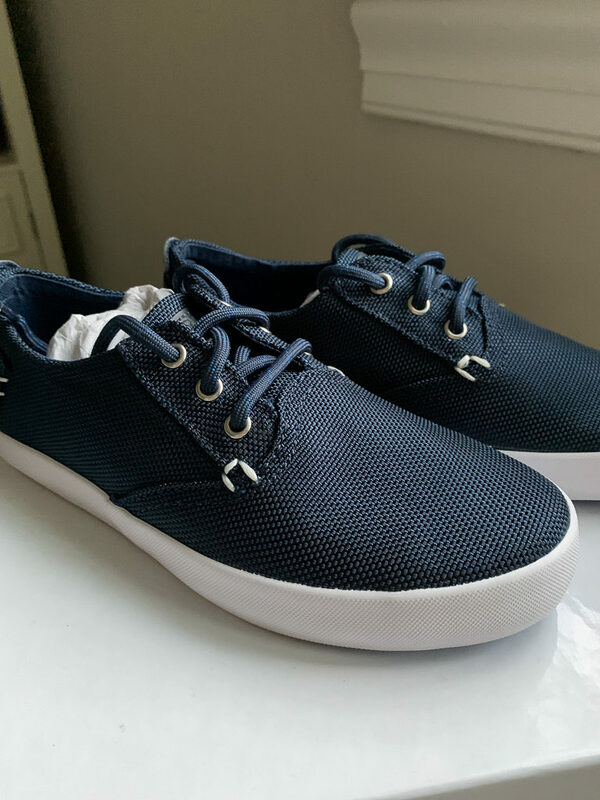 I loved these Sperry sneakers for nicer occasions. 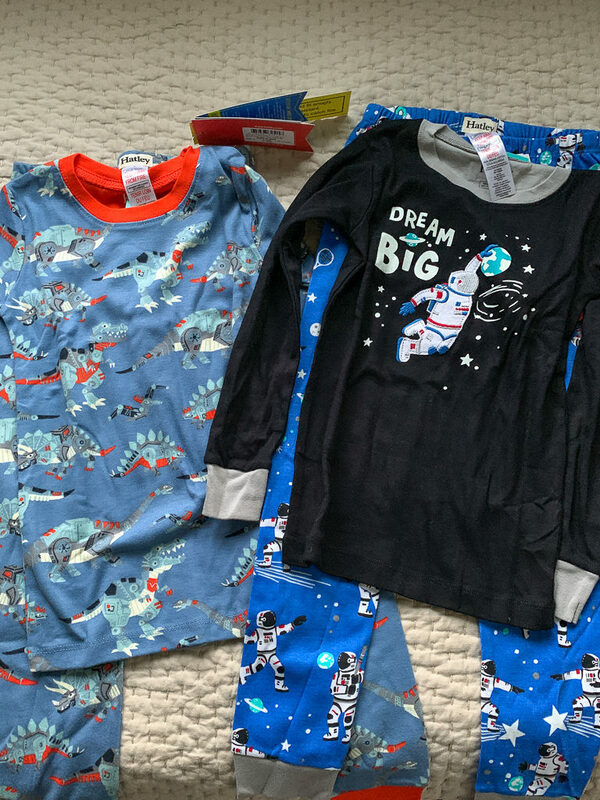 He got two pairs of Hatley pajamas, which are very nice fabric and always needed. And a cute little outfit complete with a stylin’ jacket. I would love to do a box for him every season, and since you can order them on demand, there’s no commitment. Everything in our box totaled $165 with the buy-all discount, and since everything fit we kept it all. I thought the prices were pretty good for what we got, nice shoes and brands included. 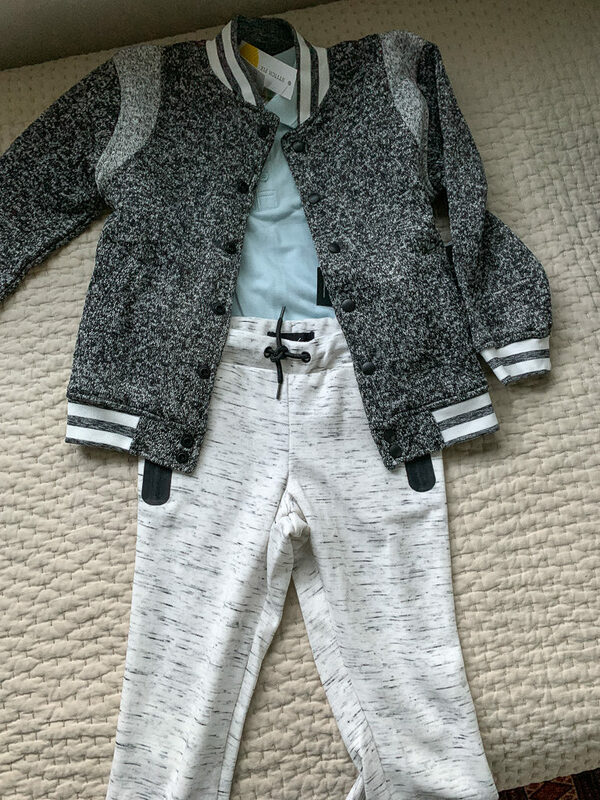 Stitch Fix has kids sizes 2T to 14 and they send 8-12 pieces. Try it out! I’m wondering if you could do more recipes and nutrition-type posts. 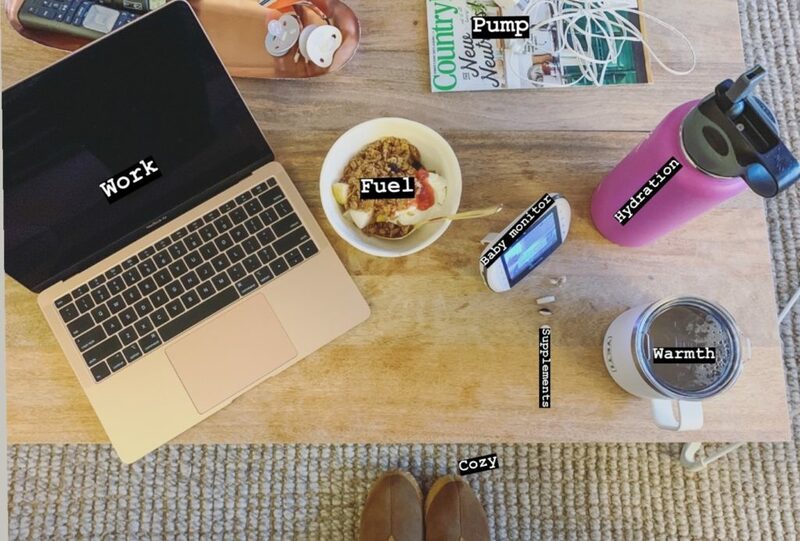 I know it’s your blog and you can do whatever you want with it but I’m having a very hard time relating to all of the stay-at-home mom posts. I work 60 hours outside of the home and have a demanding career and boss, and my eyes spin just looking at my work to-do list. So, I appreciate some nutrition/recipes that I can keep in my back pocket and prep for weekends etc. Are any of these planned? I’m just trying to find posts I can relate to. Thanks! Thanks for the review! I love that you get so many kid pieces. <3 I've been hesitant to try it so this helps. Do they also have the $20 stylist fee like they do for the adult version? Hi! What is the brand of the We are Family shirt? Thanks!